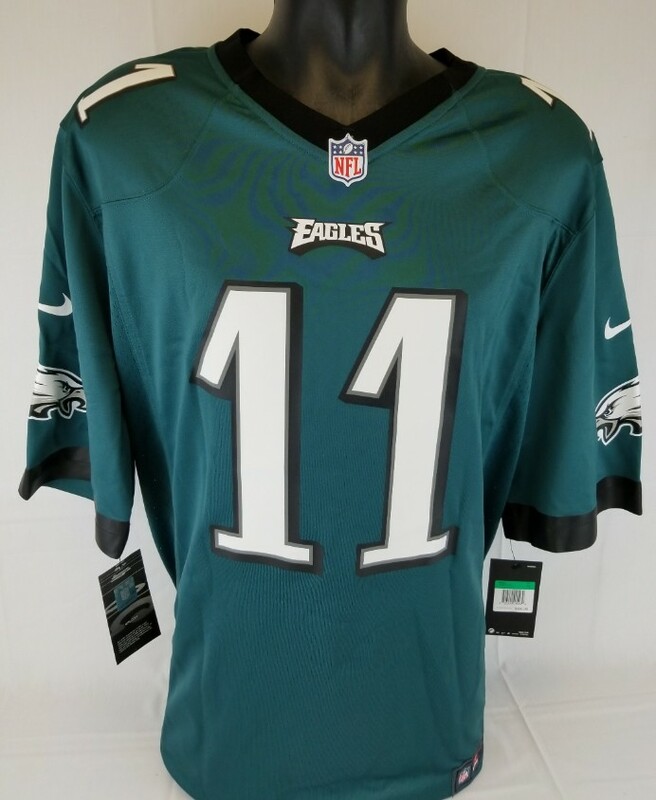 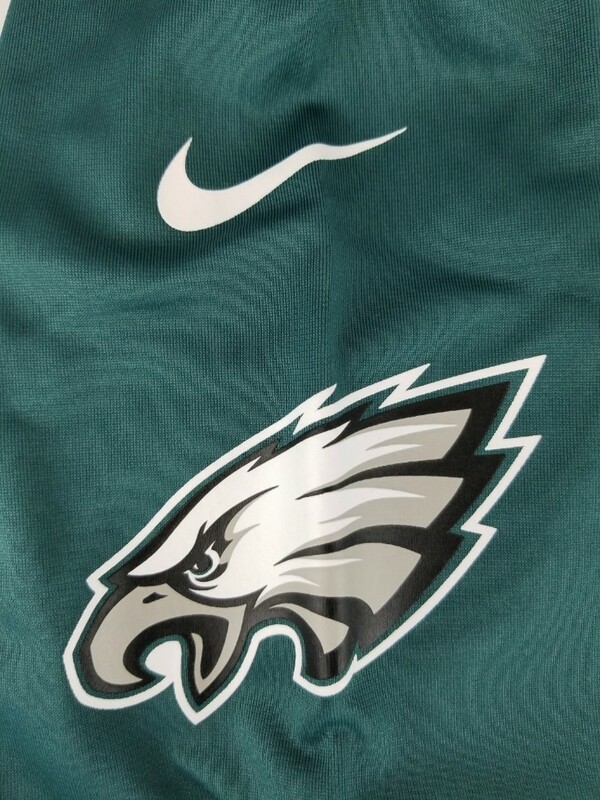 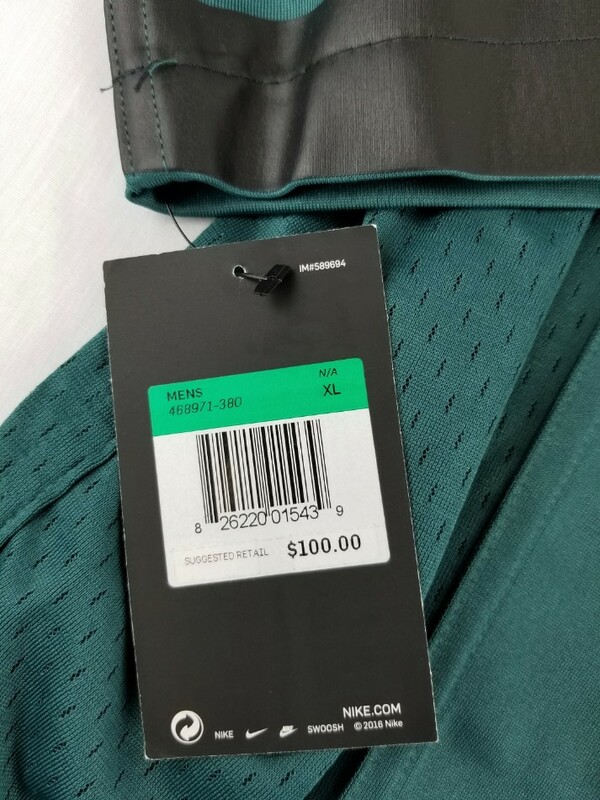 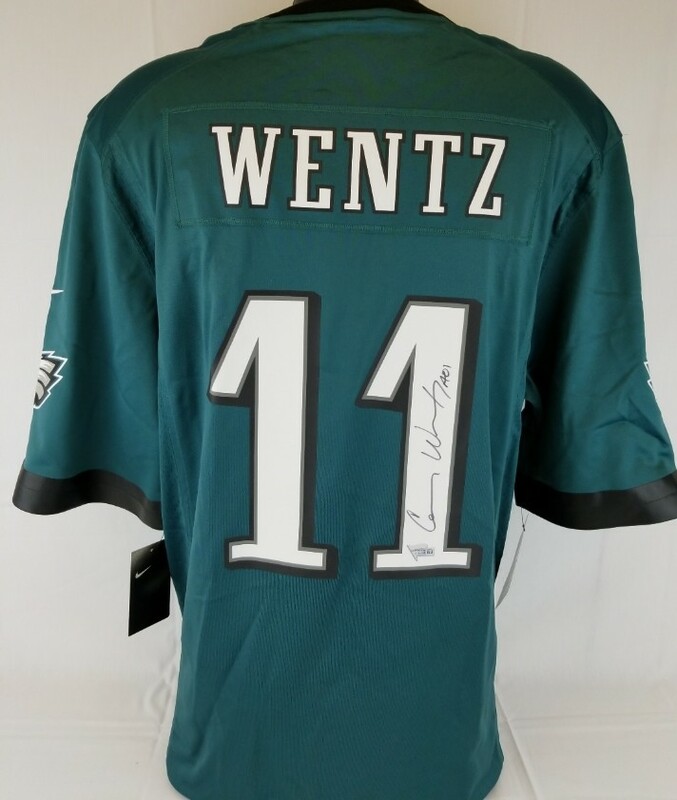 This autographed On Field Game replica jersey has been personally hand-signed by Carson Wentz of the Philadelphia Eagles. 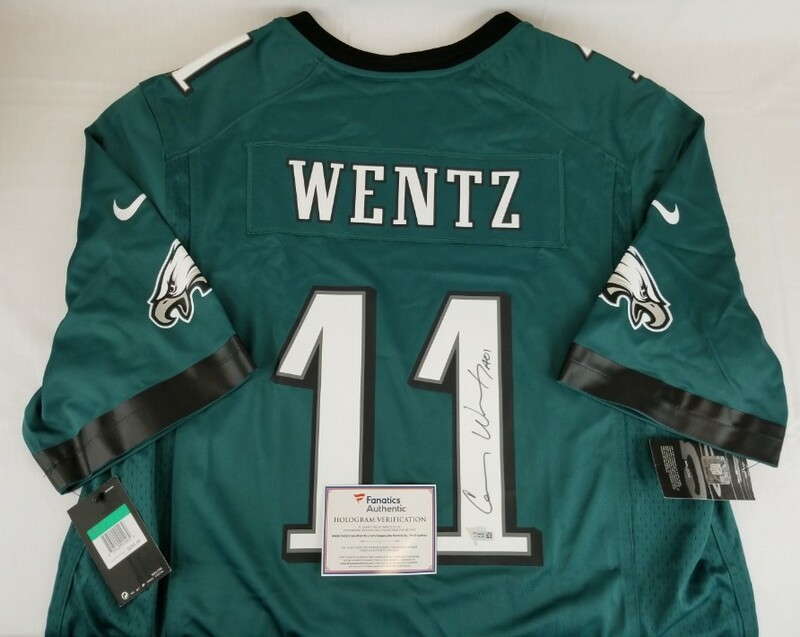 Wentz added the inscription "AO1" for his charity, The Carson Wentz AO1 Foundation. 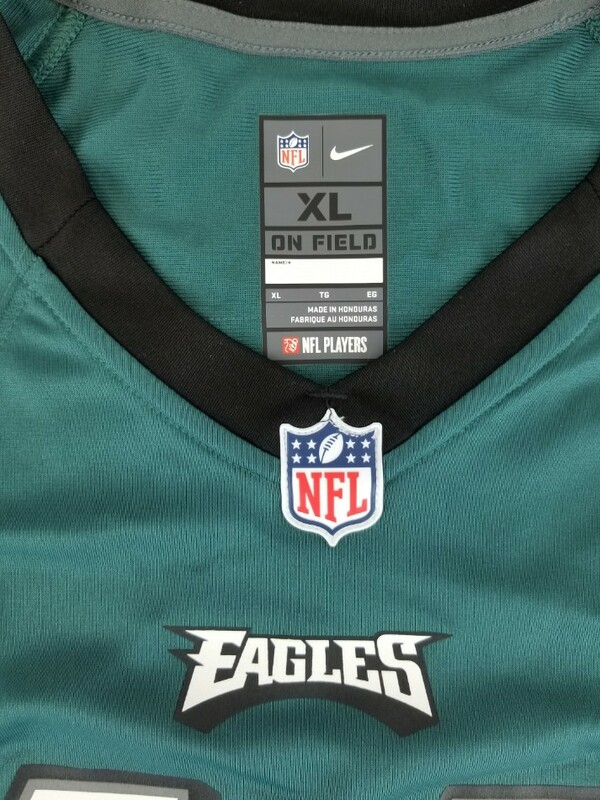 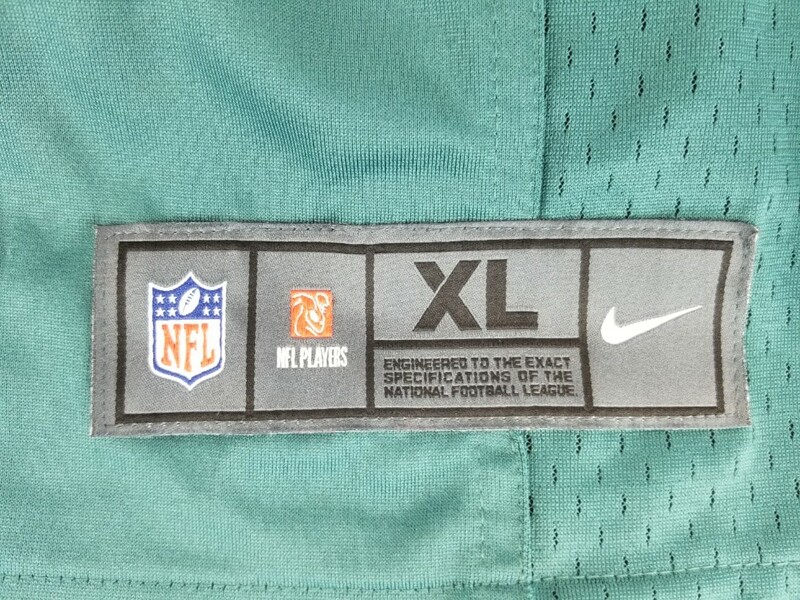 The jersey is a size XL and features screen printed name and numbers. 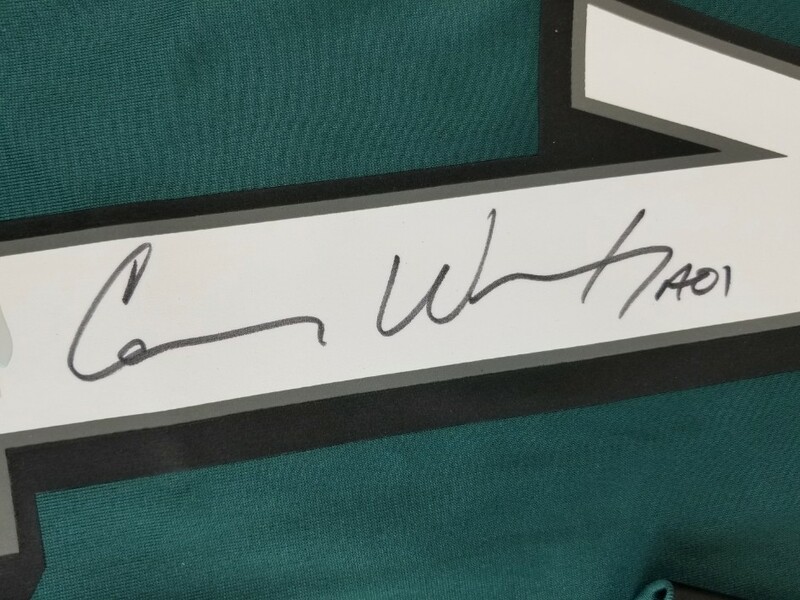 This autograph is certified by Fanatics. 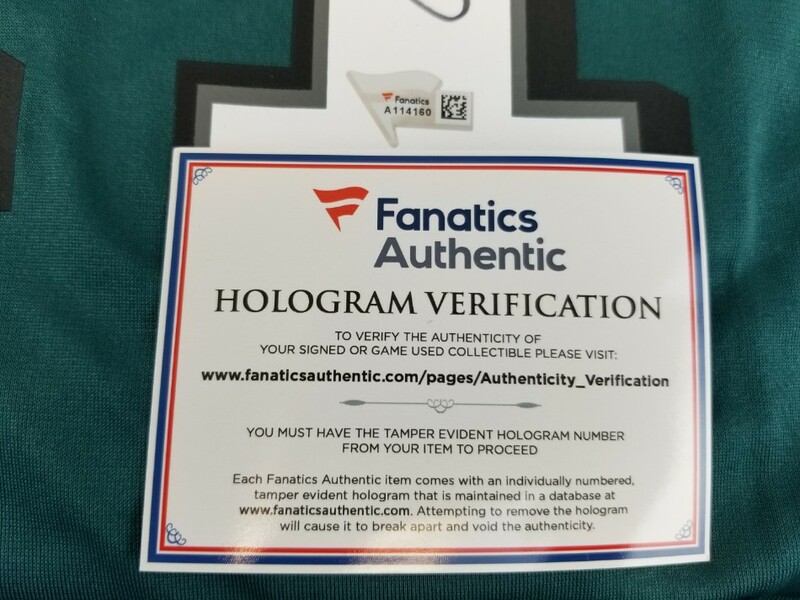 It comes with the numbered hologram which can be verified on Fanatics.com.